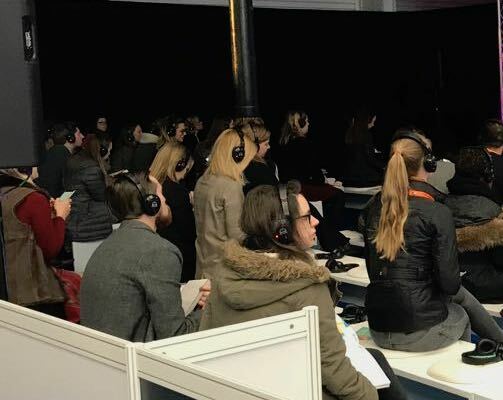 A regular complaint from previous exhibitors at the Language Show (which I drew attention to in my recent blog) was that many visitors seemed to disappear off to seminars, never to return to the exhibition floor. 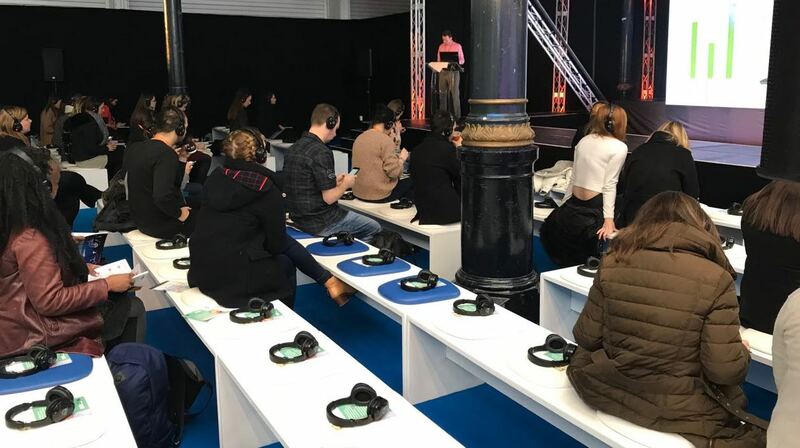 This was particularly true when seminars were staged on a separate floor – as in 2016 – but also last year when they took place in sleek conference rooms miles away from exhibitors. This year, with the show under new management and where our focus is to greatly improve exhibitor returns, we are keeping all the seminars, classes and performances on the exhibition floor, right next to the stands. How do we do this without creating noise clashes? By using silent seminar technology. This means that in some rooms, instead of loud speakers, there will simply be headsets, one for each of the 200 seats. The audience will be able to hear perfectly whilst sitting only yards away from exhibitors. At the end of each talk, back to the stands they will go. 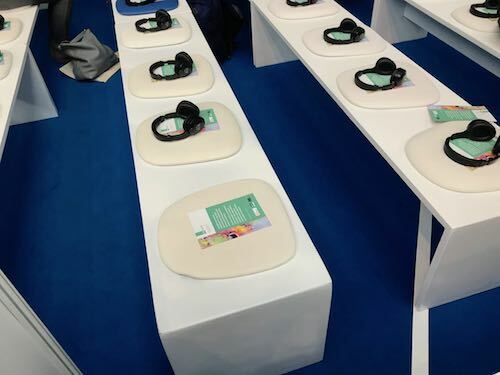 Below are photos taken at yesterday’s Confex exhibition at Olympia which shows a silent seminar in operation. Exhibitors returning to the Language Show. In the last couple of weeks a number of exhibitors have booked stands for this year’s show and a number more have indicated they will be doing so in the next few days. Those recently to book include AQA, Oxford University Press, Testronic, King Sejong Institute Foundation, Faculty of Languages at Oxford University and VICI Language Academy. If you would like to book your stand before the Spring price increase, checkout the floorplan here and get in touch right away.